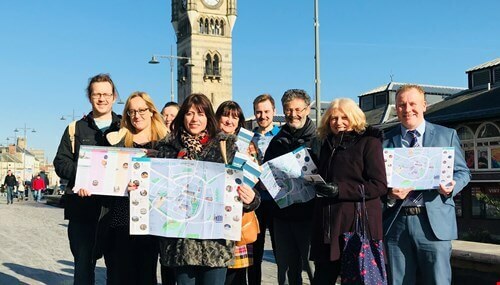 Residents in Stockton-on-Tees are being offered free advice to help them travel greener, healthier and cheaper as part of a Tees Valley wide project. Let’s Go Tees Valley travel advisors are visiting homes in the Ingleby Barwick and Norton areas throughout April, May and June with useful information on car-free travel, including bus services, rail travel as well as walking and cycling maps. The travel advisors will direct residents to free services like those provided by The active travel Hub on the high street, which provides advice and information about cycling and walking in the borough as well as free secure bike storage, bike MOTs, weekly confidence rides and maintenance courses. They will also make regular visits to Thornaby, Stockton and Billingham Jobcentres to help job seekers plan their journeys to potential employment opportunities. The Let’s Go Tees Valley Travel Advisors will be based at The Hub on Stockton High Street.